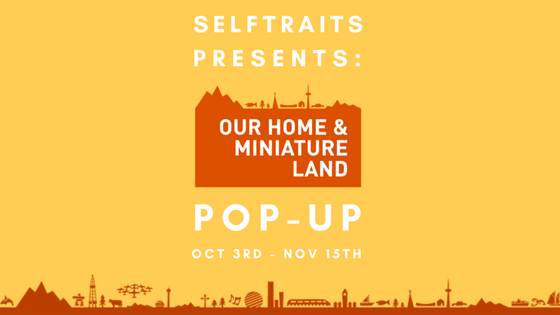 It is said that “great things come in small packages,” and over the next month, Our Home & Miniature Land will set out to prove this as they Pop-up at our studio on Queen st.! Our Home and Miniature Land (OHML) is Toronto’s next big attraction- a journey through Canada in miniature. Set to open their large-scale tourist attraction in 2019, OHML plans to display Canada’s vast beauty and diversity, from coast to coast to coast, under one roof, and in an afternoon. So far, the OHML team has built 3 destinations- Toronto, The Golden Horseshoe, and Ottawa that currently occupy 2 warehouses. At our studio, you will find various Golden Horseshoe landmarks both of old and new. Specifically, St. Lawrence Market, First Canadian Place, the original Tim Horton’s restaurant (circa 1964), Parliament’s Centre Block, the Peace Tower, and much more! Over the next month, OHML will be offering the opportunity to own a little piece of the country they love! OHML has partnered with FrontFundr, a Canadian company that has built a web-based platform to help people to invest in companies that they believe in. For as little as $1,000, you can own shares in the company, Our Home & Miniature Land, and literally, own a piece of our miniature Canada attraction. In addition to share ownership, you will receive a 5” Selftrait, as well as exclusive free access to the attraction through sneak previews, VIP tickets, and yearly passports. The small investor campaign headquarters will also be at Selftraits over the next month. Come talk to them about what they’re building and how you can invest to “be a part of something small”. 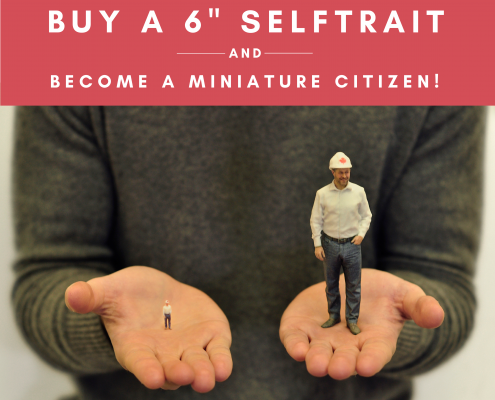 Also, when purchasing a 6” Selftrait (or larger!) YOU will be transformed into a 1/87th scale model, and added to their permanent display! Top this! 5 reasons why a 3D Cake Topper is icing on the cake. The Holidays Are in Full Swing at Selftraits!